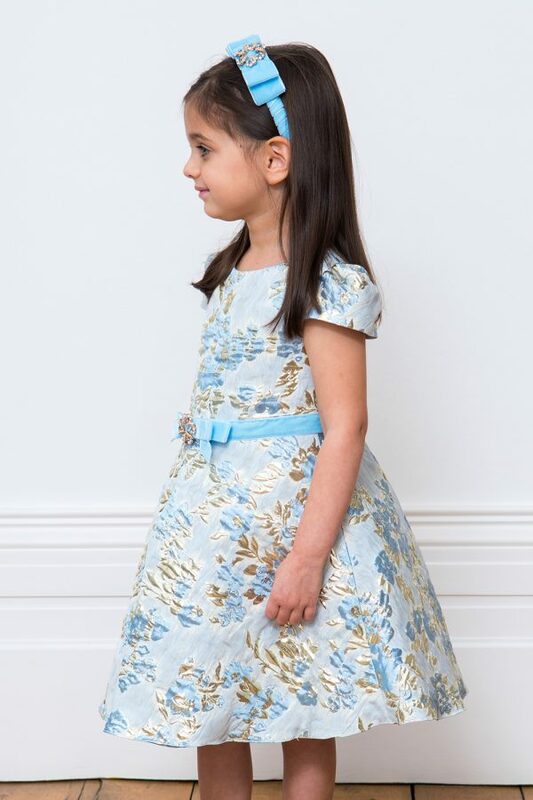 Capture the essence of beauty with our blue brocade floral party gown. 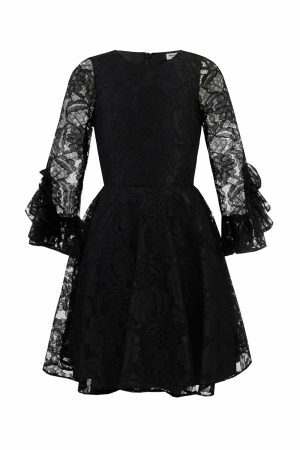 Exclusive to David Charles, this seasonal dress is a must-have for your girl’s favourite occasions. 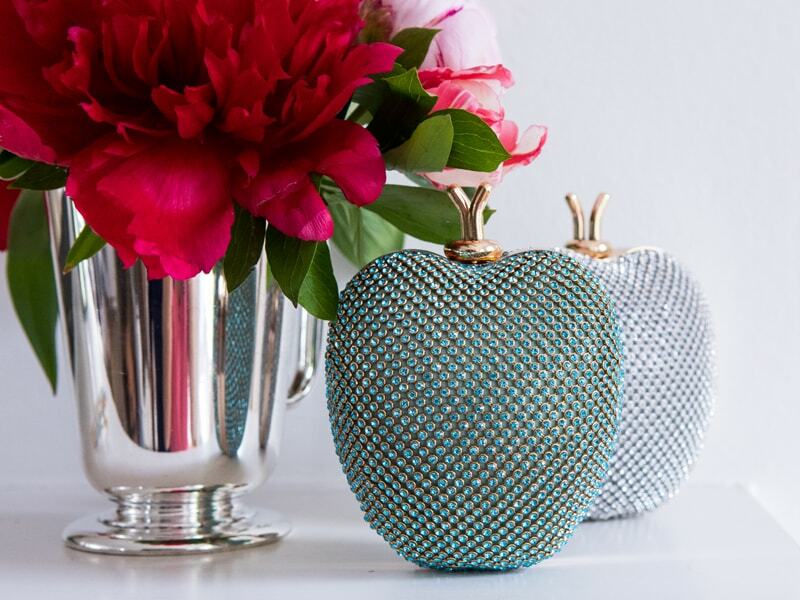 Available in a pretty baby blue and gold colour palette with an embossed floral motif throughout, admire your angel as she steals the fashion spotlight. This gorgeous gown offers a timeless fit and flare silhouette and an inverted pleat skirt for a luxurious party look. Our signature velvet ribbon adorns the waist and includes a sparkling floral cluster to finish. Features chic cap sleeves and a concealed zip fastening. Capture the essence of beauty with our blue brocade floral party gown. 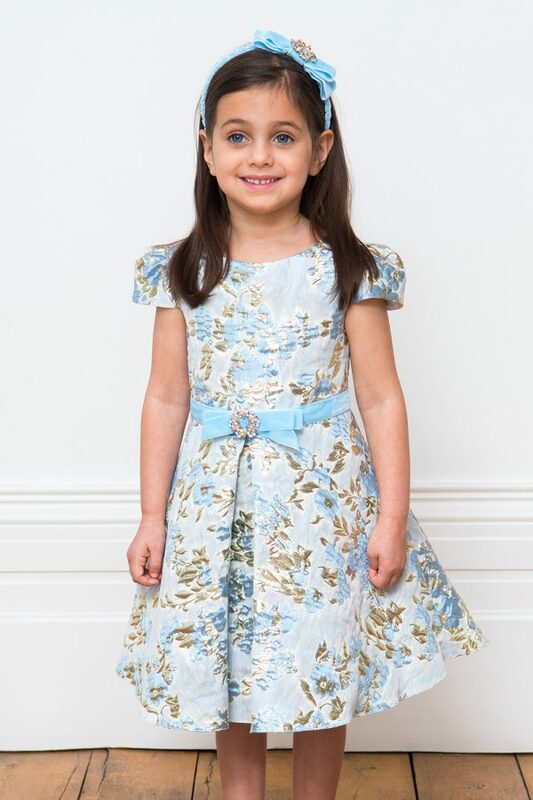 Exclusive to David Charles, this seasonal dress is a must-have for your girl’s favourite occasions. Available in a pretty baby blue and gold colour palette with an embossed floral motif throughout, admire your angel as she steals the fashion spotlight. This gorgeous gown offers a timeless fit and flare silhouette and an inverted pleat skirt for a luxurious party look. Our signature velvet ribbon adorns the waist and includes a sparkling floral cluster to finish. Features chic cap sleeves and a concealed zip fastening. 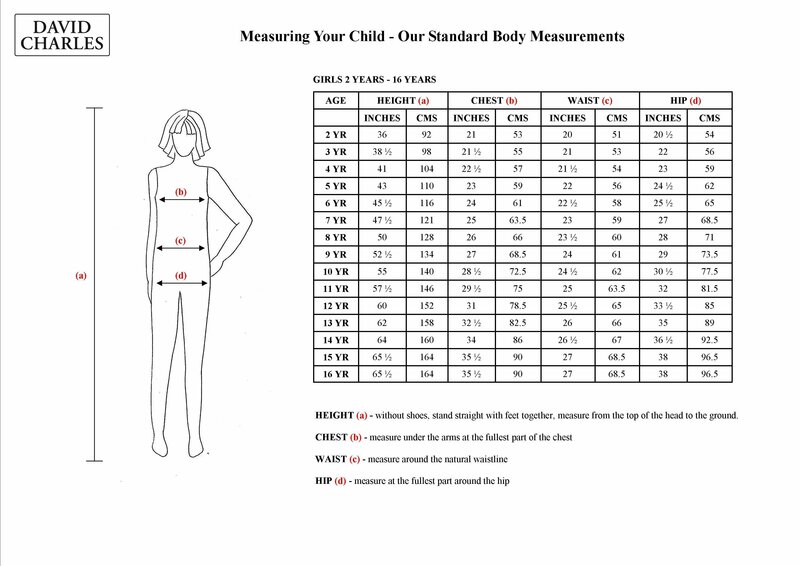 Height of Model : 39 3/4″ – 101cm – wearing age 4 years. Elevate your girl's evening look with our red wine ruffled prom dress. Important occasions call for five star style, and this gown makes the perfect choice for proms and parties. Available in a rich red wine colourway that shimmers from every angle, your angel is sure to feel fabulous in this polished piece. With a chic flared skirt that falls just above-the-knee, our designer dress offers an updated version of the classic prom dress. 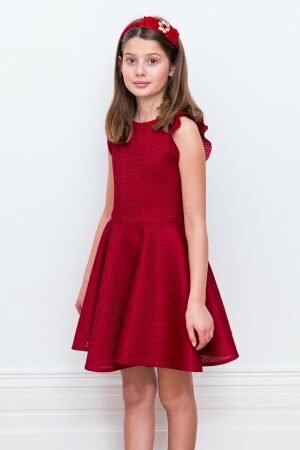 An elegant ruffled trim frames the shoulders while luxe textured fabric allows your daughter to celebrate any special occasion in style and comfort. Includes a concealed zip to fasten. 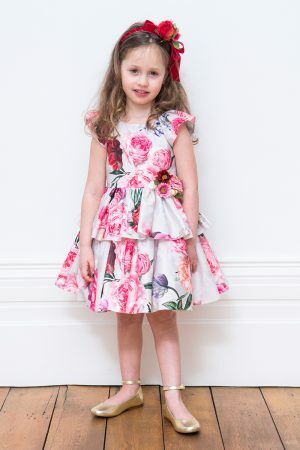 Style your girl pretty in our ivory and pink bouquet gown. 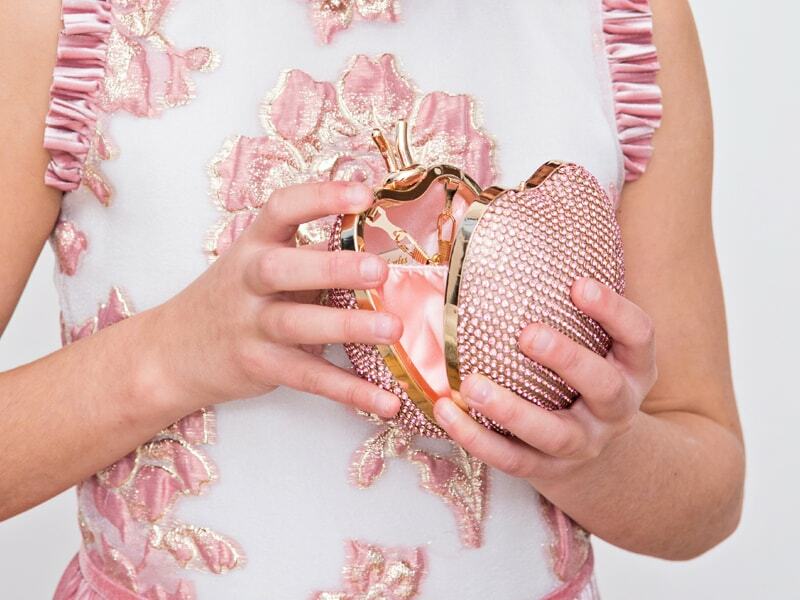 Available from our brand new collection, this beautifully crafted design belongs in your angel's new season edit. 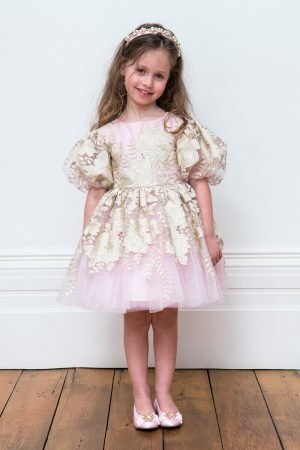 The perfect choice for parties and pageants, this is one occasion gown your daughter will love this season and the next. 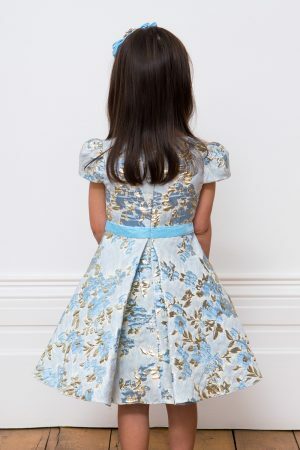 With a chic ivory colour and vibrant floral print throughout, your little one is sure to turn heads wherever she goes. 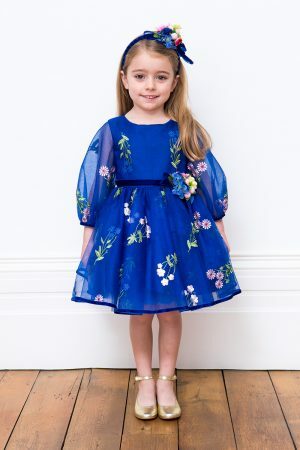 Inspired by colourful flower bouquets, this charming number offers a luxe layered skirt with pretty pleats and matching cap sleeves. Fresh florals deliver a bold season’s statement, and this piece is hand-finished with a smart sash bow at the back to keep your sweetheart looking preened and polished all evening. Concealed zip fastening. 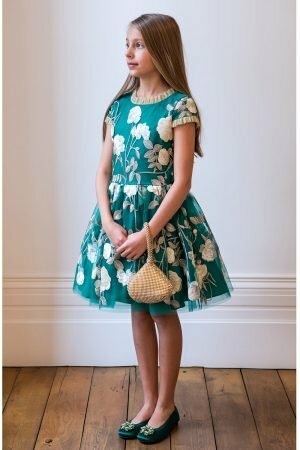 Arrive at the dance preened and polished in our jade green and gold party gown. Special occasions call for the perfect dress, and this designer gem is the epitome of glamour. An ideal choice for exclusive events, watch your angel celebrate in style throughout the festive season. 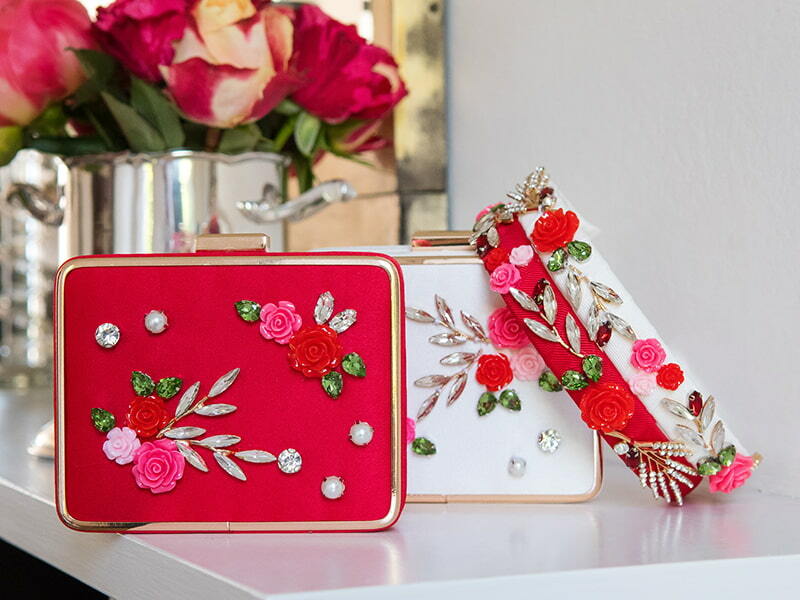 With a lucky jade green and gold colourway, this artisan embroidered piece really is a dream come true. 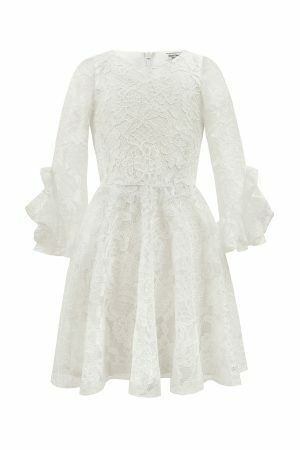 Delicate crepe ruffles decorate the neckline and sleeves, and this dress features a sweetheart cut-out back. Soft tulle layers accentuate the ball gown silhouette, and there is a concealed zip to fasten. Discover the best of luxury style with our ivory lace bridesmaid dress. Exclusively yours, this gorgeous gown is simple yet elegant making it the go-to choice for a variety of special occasions. 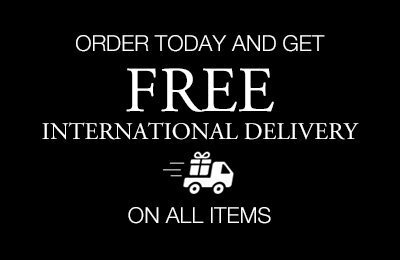 Whether your angel has a wedding, birthday or a communion to attend, see that her outfit meets the 'dressed to impress' criteria every time. Available in a premium ivory lace with satin layering beneath, watch as your bridesmaid-to-be declares her love for this polished fit and flare piece. Long semi-sheer sleeves with fluted cuffs and a romantic ruffle trim serve to decorate your girl's wedding guest look to perfection, while a soft pleated skirt offers a beautifully balanced silhouette. Includes a concealed zip fastening.